The drive down the winding, dangerous, twisty, no-shoulders Hwy 128 along the Colorado River (what we affectionately call “the back way”) had me leaning forward as I navigated, trying to take everything in while staying on the pavement. I shared the road with few other drivers on this February afternoon. For the previous four hours I had no radio on, no CD, nothing but my thoughts as I addressed my own anticipation and drank in the extreme whiteness. 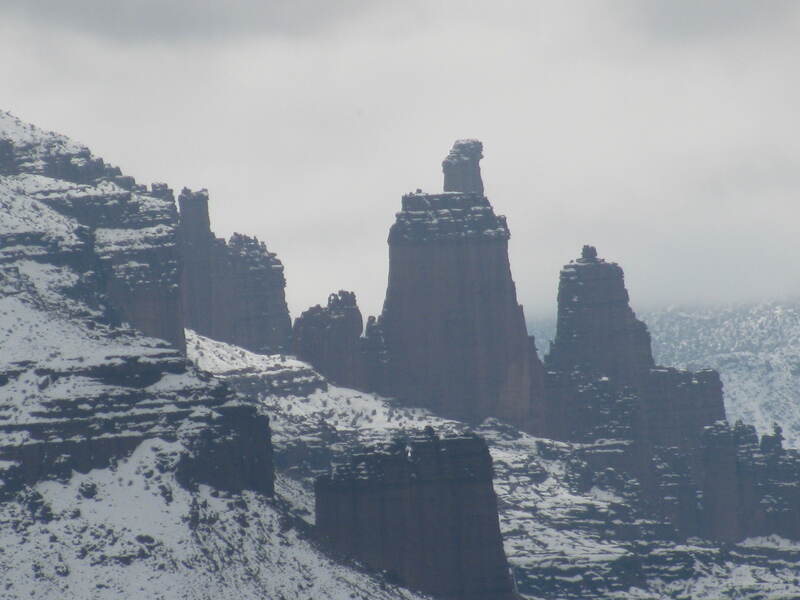 Utah has, along with the rest of the country, experienced “the winter that won’t end” and has broken nearly five decades of records for cold and snow. 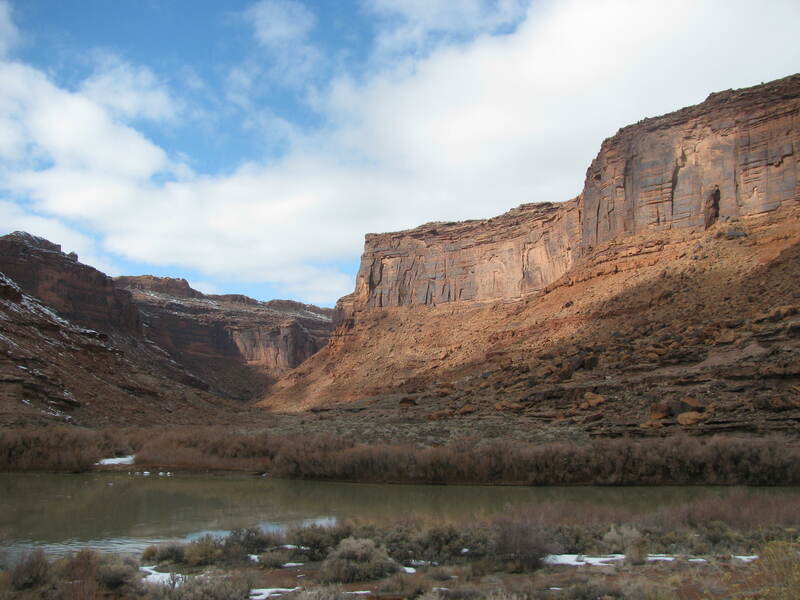 As I paralleled the Colorado River, the red rocks began to rise more and more sharply alongside it. Powdered-sugar snow remained heavily on north-facing slopes, while south-facing hillsides steamed as the sun’s heat penetrated the exposed ground. These cliffs were ones I had rafted past twice last summer; memories flooded in. 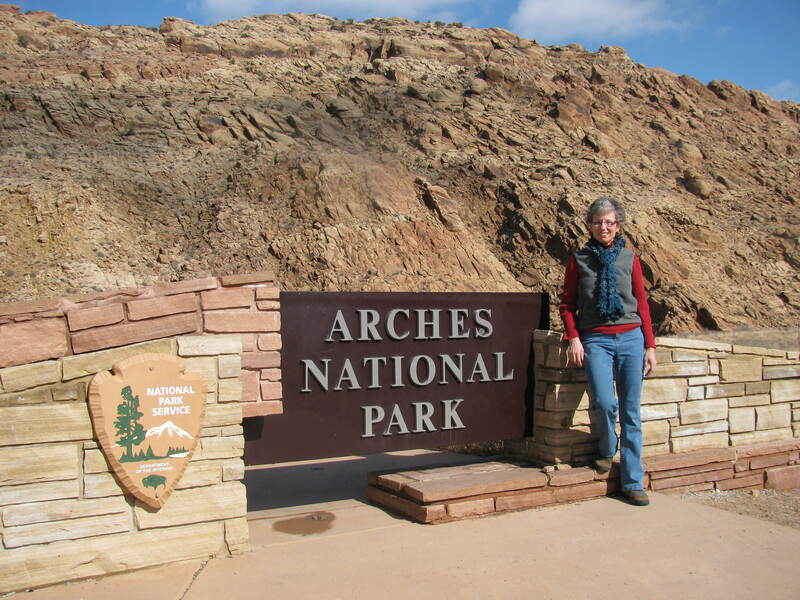 “Arches National Park, 2 miles” became “Arches National Park, 1 mile,” which became the familiar right turn at the uranium tailings pile. The requisite photo at the park sign always affords opportunity to meet someone while handing them your camera.